Imagine running as many races as you'd like at no cost to you. Imagine participating in any event, game or sport regardless of the fees. Imagine getting free clothing, gear and shoes for all your athletic activities. Many athletes yearn for the utopia of sponsorships, yet have no real idea how to do it. Although many people assume that sponsorships can only be obtained by elite athletes, that is simply not true. These steps can shed some light on the often-misunderstood process of sponsorships and give you a leg up on others looking for opportunities. 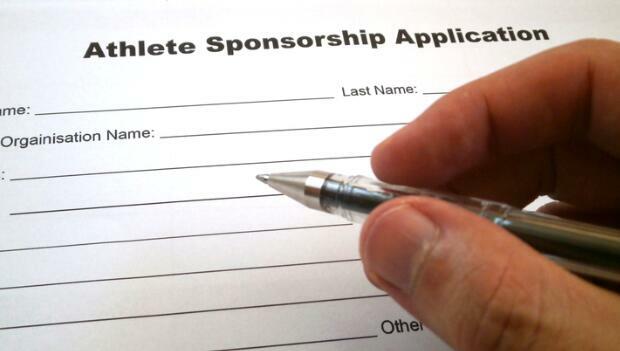 This may be your time to become a sponsored athlete and get paid for doing what you love. 1. Understand why companies sponsor athletes. Ultimately it's about selling products or services. Different companies use different marketing strategies. Those that sponsor athletes use sponsorship as a form of marketing to sell their goods. The athletes they choose to sponsor usually represent their target market. In some cases, that may be elite athletes. In other cases, it may be someone that is exceptionally attractive. Or perhaps it's an outdoor company looking for the "Grizzly Adams" type or a company marketing to teens looking for an "edgy" athlete. Keep in mind that all companies are looking for someone that represents their desired image who can help them sell products. When searching for companies to sponsor you, consider your own image. Are you an elite? Look for companies that sponsor elites. Are you a young professional? How about a mother? Look for companies that market to you. 2. Prepare by building an audience. Simply appearing at a race isn't enough, even if you finish well. This fact seems to be lost on most. You're virtually useless if you don't have an audience beyond the dozen people that may see you at a race. By developing an audience, you dramatically increase the number of people that may see your company's message. A very select few can develop this audience simply by winning (think Michael Jordan or Tiger Woods) These individuals don't necessarily have to actively build an audience. The media coverage they receive serves that purpose. For the rest of us, we need something else. A blog can be a great way to build an audience. It's very cheap and easy. It does take significant time to write enough to develop a following, but it is one of the easiest ways to do so. I also recommend social networks such as Facebook and Twitter. Having thousands of followers and/or friends is a ready-made audience. There are other ways to build an audience. If you have your own business, your customers are an audience of sorts. If you have a talent like art, design or music, you can parlay that into an audience. In sum, you need people to pay attention to you.